Digital marketing has become huge in recent years and (almost) everyone is taking advantage of the benefits it has to offer. But, believe it or not, there are some business owners who still prefer the conventional way of marketing. This is because they are either uneducated in the matter or scared of technology. Since we are experts on the matter we thought we’d bust some common myths these individuals believe about digital marketing. One of the biggest lies people believe is that websites are only meant for big, corporate companies. This couldn’t be further from the truth. A company website will not only make it easier for people to find you online, it gives you credibility. In fact, if you can’t be found on the internet, people tend to believe you are a fly-by-night and a fraud. I agree that some forms of traditional marketing are still effective like promotional gifting or even handing out flyers. But nothing beats the affordability and reach digital marketing has to offer. For the best results, why not combine them? Getting to the number 1 spot on Google will set you back a little and it will take some time which is why some believe is just a fad. But you can trust us, search engine optimisation is needed to make sure your website ranks on Google and other search engines. SEO is all about selecting the right keywords and key phrases to make it easier for people to find you. But the competition is stiff which is why it takes a few months to rank. So don’t lose hope, if you hire a reputable SEO company, you will get good results. 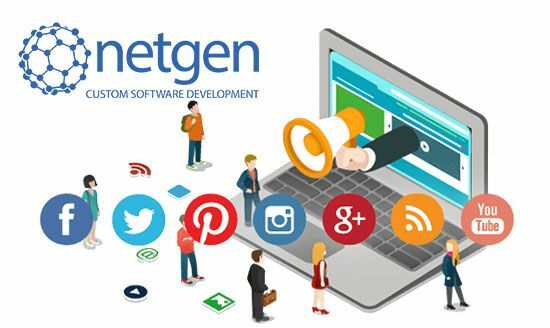 Netgen offers reliable web design services in Cape Town and Johannesburg as well as digital marketing. Give us a call for a free quote today! Next PostWhich Is Better: A Mobile App or Responsive Website?